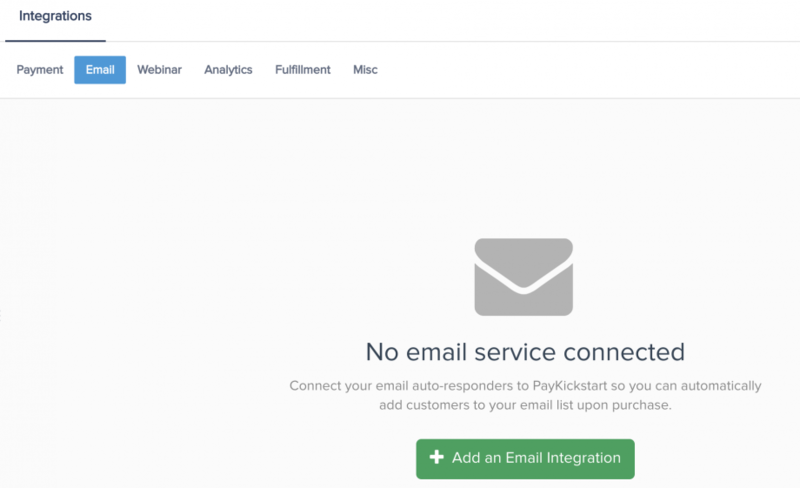 In this tutorial, learn how to integrate with iContact autoresponder service using PayKickstart’s API integration. Step 4: Choose ‘iContact’ on the dropdown menu for ‘Email Services Available’. Step 5: Enter your iContact account name, APPID, API Username, and API Password and click ‘Connect’. Open your iContact account and then open a new tab and go to https://app.icontact.com/icp/core/registerapp to create your iContact API application ID. Create an Application Name (PayKickstart) and Description and click on “Get App ID”. In the next screen, you will see your Application Name & Description, right below that you will see the option to show information for API 2.0 or 1.0, you must select API 2.0. Once you have selected the option to show information for API 2.0, the information for your application will appear at the bottom of the page, providing you with your API – APPID. Click on the link at the bottom of the page that says “enable this AppId for your account”. Now a new screen will come up showing your Application ID and requesting you to create a password for your application. This is your API Password. Step 6: Once you’ve connected, you’ll need to go to ‘Campaigns’ on the left sidebar of your dashboard. Here, you’ll see your campaigns listed. Choose the PRODUCT that you want to integrate ActiveCampaign with and select “edit product settings“. Step 9: If you’ve correctly integrated with the main area (steps 1-6 in this tutorial), then you can now select ‘ActiveCampaign’ in the Email Integrations. Choose ‘ActiveCampaign’ as your email service. Learn more about segmenting lists for iContact <<HERE>>. Now, when a customer purchases your main offer product, they’ll automatically be added to this ActiveCampaign list that you’ve chosen.